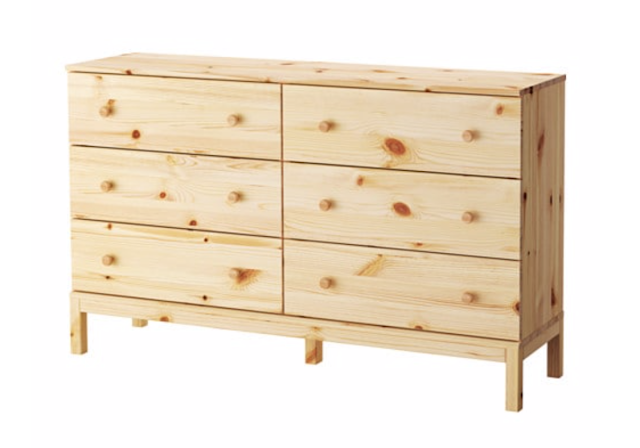 I snagged a Tarva dresser from IKEA, stained it, assembled it, swapped out the hardware, and now he is all set. Also, we now have a changing table living in our kitchen until I figure out what we are going to do with it. So there's that. I opted to stain the boards prior to assembling the dresser. 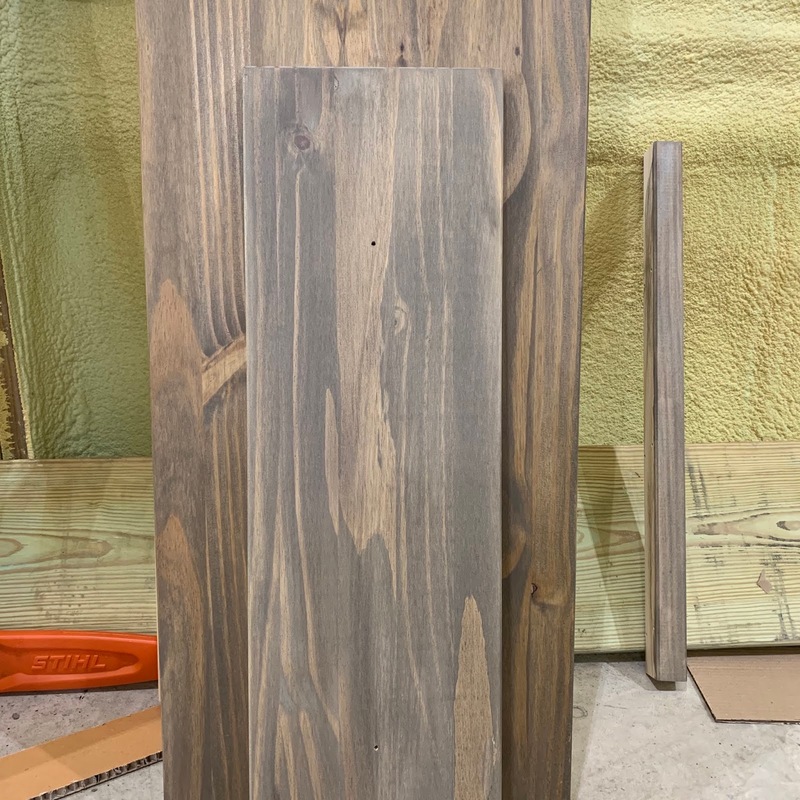 If I was going to paint it, I would definitely assemble it first, but staining is different, and especially this stain. Having worked with it previously, I know how it has a tendency to pool up and I didn't want it to do that in the crevices. It was just easier for me to stain the individual boards anyway. One thing I would recommend is lightly sanding the edges of the boards prior to staining them. 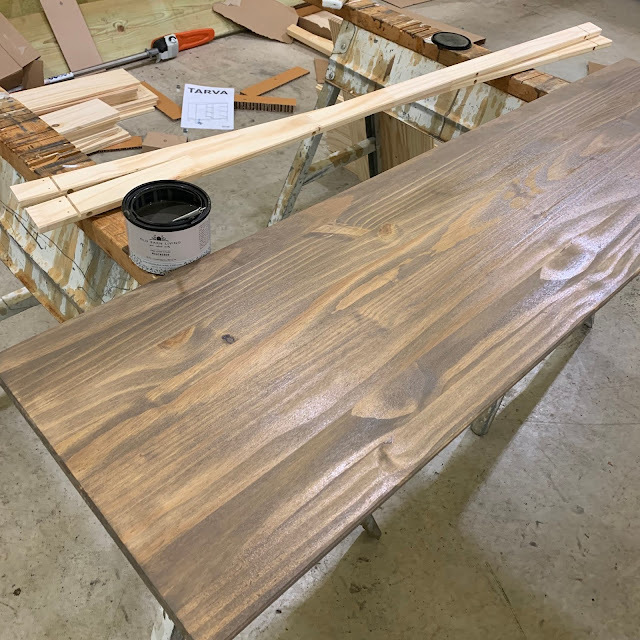 I noticed a few of my boards had small splinters or rough edges on them, so a light sand and a quick wipe down are highly recommended. I also cheated and only stained the boards that were going to be visible! Saves time and stain that way! Just make sure you look at the assembly directions to be sure you are staining the correct boards. I used one coat of Old Barn Milk Paint One Step Stain in the color Weathered. With this stain, you will want to be sure and stir it often. The pigment particles settle to the bottom of the can, so give it a quick whisk often to ensure you're getting even coloring, I also used their Oil+Wax to add a protective layer. The oil also adds a little bit of warmth to the color and finish. You can see here in the picture above where the large board has one coat of oil, but the smaller board does not. 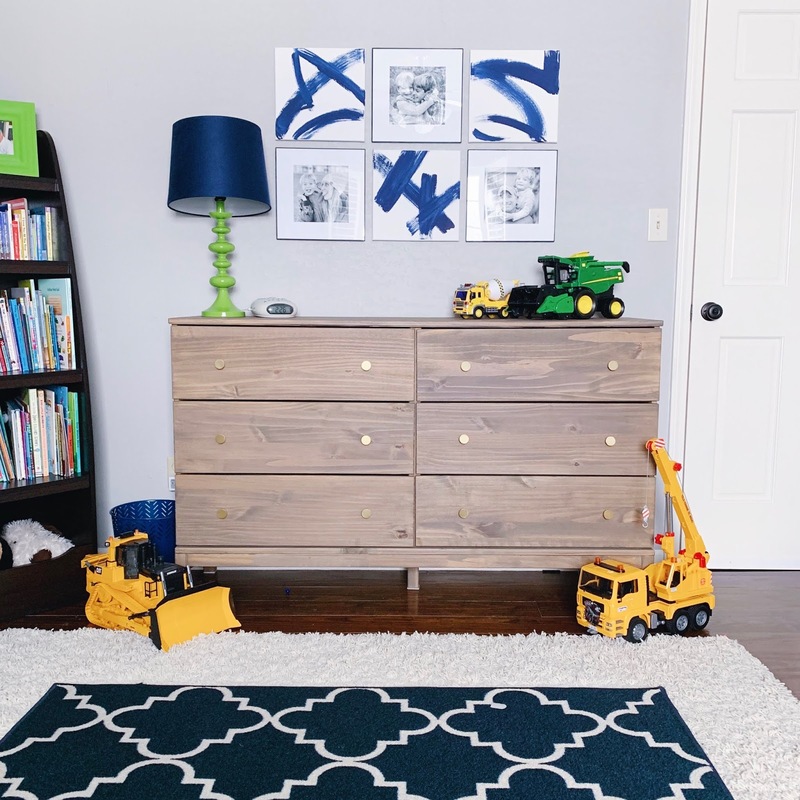 I fell in love with these knobs and he has a few touches of brushed brass in his room already, so they were perfect! 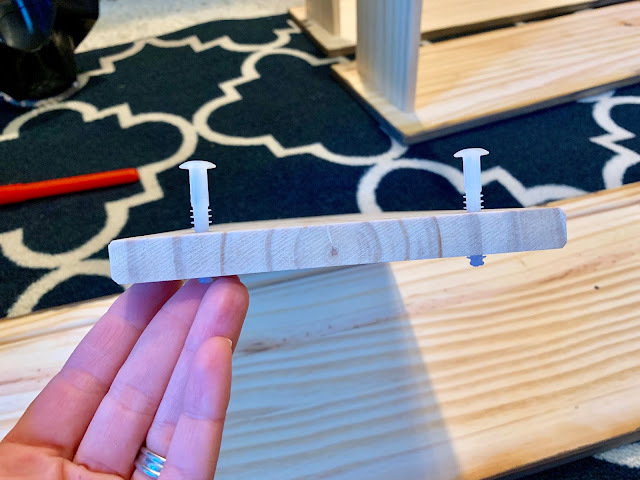 And one quick tip about the assembly, I found that hammering these plastic pegs into the sides of the drawer boards before attaching them onto the rest of the drawer proved to be much easier. I just laid the boards on the rug, hammered the peg until it barely poked out the other side, then aligned the pegs with the other part of the drawer and hammered them together to connect the two pieces. Hopefully that makes sense when you are in the middle of assembly! And that's all she wrote! It's amazing what a little stain or paint and some new knobs can do!